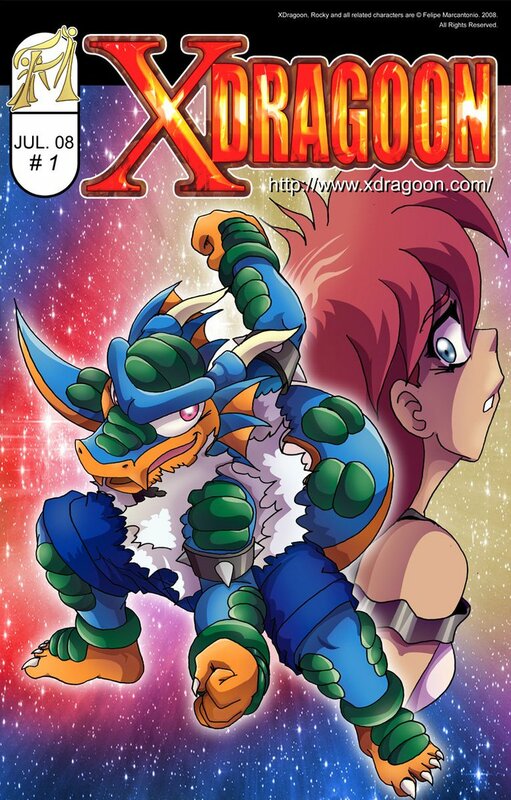 August 1st, XDragoon completes 10 years of existence... And even crazier to think it actually begins in 2004, that´s make 14 years I working on Rocky´s adventures. From a animated short from an animation course I did long ago... To a full episode that showed me how hard was to do a bigger animation...Then moved to the comics and was able to tell the story I wanted, how I wanted. XDragoon made me learn how to draw and write comics. There was many errors during the process, but all were important to me learn do it better next time. Was rewarded with fans that liked the story and it´s characters. Especially Rocky, because the tendency is to people don´t like the main character, but he ended the most popular, which make me really happy because I put a big part of me on him. I never said it public because, maybe it could sound arrogant, but I really love my series! I love XDragoon! Archived many good things doing it during all those years, fans, friends, work. That made it worth. And I want to work on it more time. This special day the second episode of the webseries will be released and the confirmation of a new special chapter, that will release later this year. Thank you all! And Happy 10th Anniversary, XDragoon! feliz cumpreaños amigo!!! que sigan muchos mas!